In one activity, groups of seventh-graders were assigned to construct a model of a local bridge from the Mid-Hudson Valley to New York City. Historic Bridges of the Hudson Valley and the New York State Bridge Authority loaned a traveling museum and artifact display to the school. The event included the eighth-grade Truss Bridge Challenge. Each team received an identical kit of tongue depressor sticks, balsa wood and glue and was asked to build a bridge capable of supporting weight. Everyone watched in suspense as sand was added to the top of each bridge until it collapsed. The winning bridge held 107 pounds of sand. On April 30, through wind and rain whipping across Joe Fox Track, some 200 students from Fordham Preparatory School in the Bronx, along with faculty, staff and parents, walked for 12 straight hours to raise money for the American Foundation for Suicide Prevention (AFSP). The school raised $20,000, which was donated to the AFSP, to raise awareness about and support for the fight against suicide. 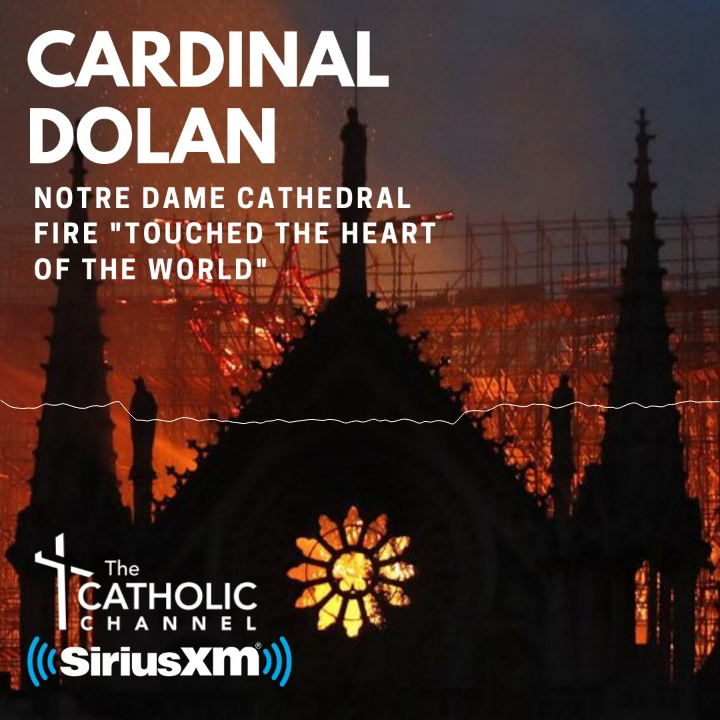 Among those supporting the freshmen-led “Walk for Others” was Cardinal Dolan, who praised students at the Jesuit-run boys’ school for their efforts to “bring light to the darkness.” The cardinal said suicide prevention is a pro-life issue. “Easter always trumps Good Friday; that life is indeed stronger than death,” he said. When heavy downpours forced the gathering into the gymnasium for a time, the walk continued around the basketball court. The event was organized by faculty member Claire O’Donnell and her Freshman Mentor Group. The Ursuline School in New Rochelle held its annual Global Education and Serviam Symposium April 15. This year’s topic, “Global Climate Impact,” sought to raise students’ consciousness, to make them aware of needed changes, and to inspire habits and practices that are more environmentally friendly. School president Eileen Davidson opened the symposium with a prayer for environmental sustainability and referred to the United Nations Sustainable Development Goals and Paris Climate Conference. Mrs. Davidson then focused on Pope Francis’ encyclical “Laudato Si,” which the girls had studied in religion classes. She said that the encyclical drew inspiration from the Canticle of the Sun by St. Francis of Assisi. Students were delighted to learn that Pope Francis holds a degree in chemistry and is the most retweeted individual in the world! Among other speakers were keynoter Amy Freeze, WABC-TV Eyewitness News meteorologist, who shared her expertise on the basic principles and potential causes of extreme weather patterns and how they relate to global climate change. The afternoon keynote was delivered by Baba Brinkman, an award-winning playwright. He gave his “Rap Guide to Climate Chaos.” His unique “lit-hop” presentation challenged the students and faculty to be advocates for big changes in the world. Students at the Academy of Mount St. Ursula High School in the Bronx won first and second prizes at the 12th annual Bronx Pro-Life Speech Contest April 23 at St. Margaret of Cortona Church in the Bronx. The winners were Kathryn Destin, first prize of $300, and Thahia Ahmed, second prize of $100. The speech contest is sponsored by the Bronx County Right-to-Life Committee and the Respect Life Committee of St. Margaret of Cortona Church. Both students presented speeches on the joys of children and the bad effects of abortion. The Bronx winner is eligible to compete in the New York State Speech Contest in Albany. The state winner then becomes eligible to travel to Washington, D.C., in July to compete in the National Right-to-Life Contest. Additional cash prizes also are awarded to winners at both the state and national competitions.